Sony has released details of a new Cybershot camera that they are launching in Japan, the Sony Cybershot TX300V, which shares many of the hardware specifications of the Sony TX200V. What this new device features over the previous model is a wireless charging ans transfer dock, by placing the TX300V on the dock, the cameras battery is charged wirelessly and you can also transfer your photos to your computer using TransferJet. 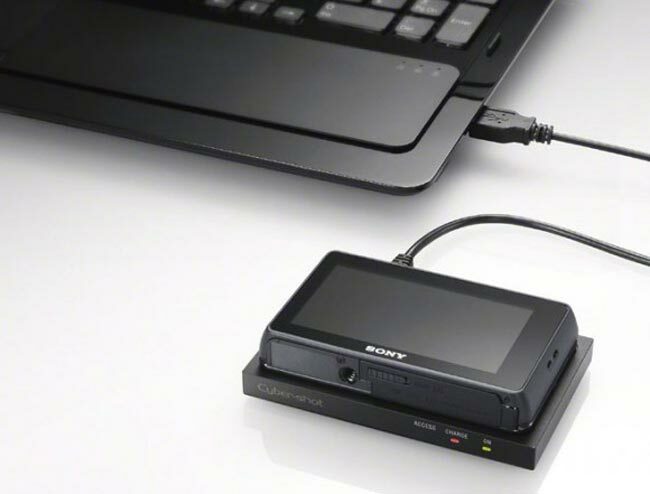 The Sony Cybershot TX300V features an 18.2-megapixel backside-illuminated CMOS sensor and Wi-Fi so your photos can also be transferred to your computer when not placed on the dock. Sony will start selling the Cybershot TX300V in Japan on March the 9th, and it will retail for 50,000 YEN, which works out at around $409, unfortunately it looks like the device will be Japan only for now.